You must make reservations at least 5 minutes in advance of the time at Union 50. Parking options for guests include valet service and street parking. A refreshing, full-bodied, egg white-shaken Vodka cocktail finished with hints of Clove & Rosemary. Great cure for those winter blues! This Winter-Whiskey sipper is loaded with Cinnamon, Maple, & Blueberry flavors. Will warm you right up! An exotic blend of white Wine, Rosemary, Bosc Pear, and white Rum. Tastes like winter in a glass! This elegant & refined Old Fashioned is properly served with Woodford Rye Whiskey, Bitters & simple garnished with an orange peel. No muddled fruit cocktail here! An easy‐drinking Vodka cocktail thatʼs good for all occasions. Lime citrus & ginger beer makes this classic drink ultra‐refreshing! Bowman Bros. "Straight Small Batch"
Bowman John J "Single Barrel"
Cleveland Underground "Black Cherry Wood"
Cleveland Underground "Honey Locust Wood"
Jefferson Pritchard Hill "Cabernet Cask"
Penny Blue XO "Single Estate"
Smith & Cross "Navy Strength"
Another wonderful dinner at Union 50. My girlfriend and I shared a Poutine appetizer, the gnocchi, and a king salmon special, all of which were excellently cooked. We enjoyed the unique Game of Thrones-themed cocktail menu as well. Service was speedy! Would highly recommend for a nice date night or group get-together. Just remember to make reservations on the weekend! I've been here 4 times now. Love the Bar, the food and enjoy the young vibe. I'm the only old guy there. Server was wonderful, food was so good, kid friendly, loved everything about our time there. We always have a great meal and great service here. Love this restaurant! It seems we almost always choose a Cunningham restaurant when we go out. You know you will get a fabulous meal and great service no matter which one you choose. Since each has its own unique menu, it's fun to hit them all. 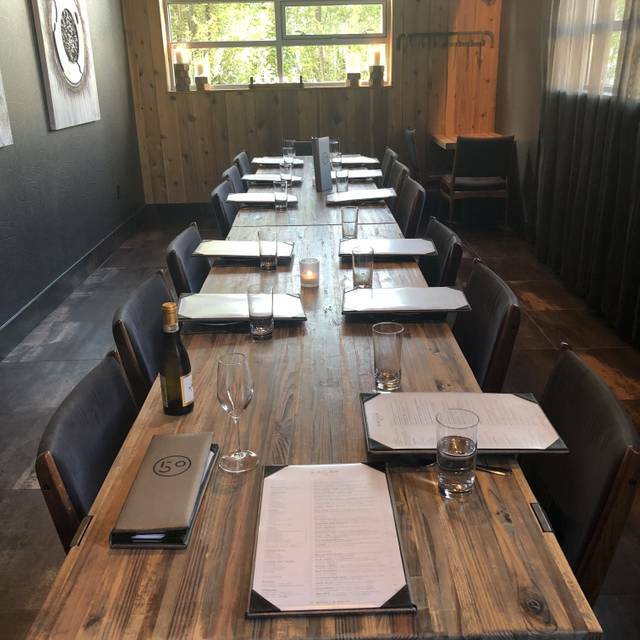 I actually ate at Livery on Tuesday and Union 50 on Saturday. I try to order something different each time. This time at Union 50 I chose the kimchi meatloaf. It was fantastic! My husband had the scallops and thought they were incredible. Thanks for giving us so many options GRG and keep up the good work! Love this place, great food and great service, EVERY TIME! Even late night live music, a perfect date night with my wife, and a great place to meet friends for after work decompression time! 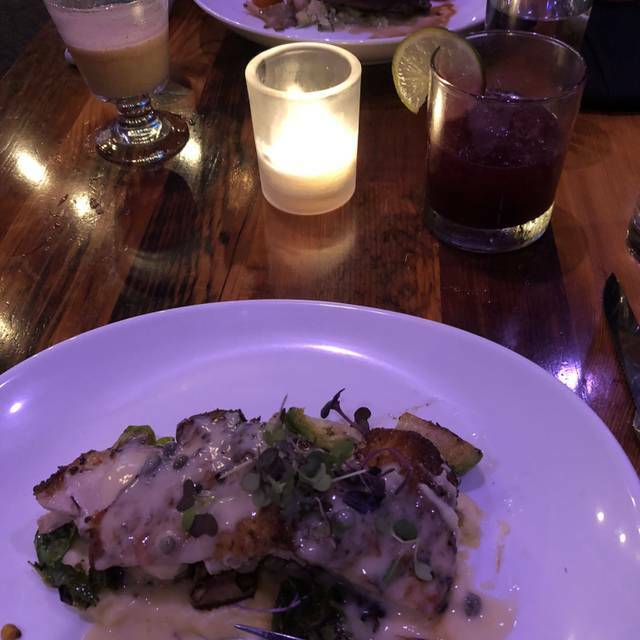 Our date night was very special, our server was excellent and knowledgeable, and we had time to enjoy our cocktails and appetizer, then the salads and entrees were fabulous. What a fun evening away from our five year old! Loved it! The food was phenomenal! The service was stellar. I plan to go to Union 50 again. Food was amazing and service was even better! Can’t wait to go back. We loved the Game of Thrones themed cocktail menu! Food is always very good. Not your average meal choices. Outstanding food! Service was slow and not very attentive. Our server took a long time to attend to us for any reason. It took a long time to place our order, then to get attention after placing the order. I'm not sure if the restaurant was short-staffed, but they were not that busy. The food was amazing! My party of 3 shared tuna crudo as an appetizer, which was very well done. I could have ordered that again as my entrée. I had the scallops, which were just a touch underdone, but very flavorful. One colleague had the lamb shank, which he said was amazing. It was perfectly seasoned and cooked. He finished the entire dish, even the marrow! Another colleague ordered the shrimp & grits. He was surprised to find cajun-style shrimp & grits in Indianapolis and pronounced it very authentic. I wanted something savory for after dinner, and the only option I was offered was the charcuterie board. I selected 3 cheeses, which were all very good. The presentation was nice. The amount served was too much for after dinner. 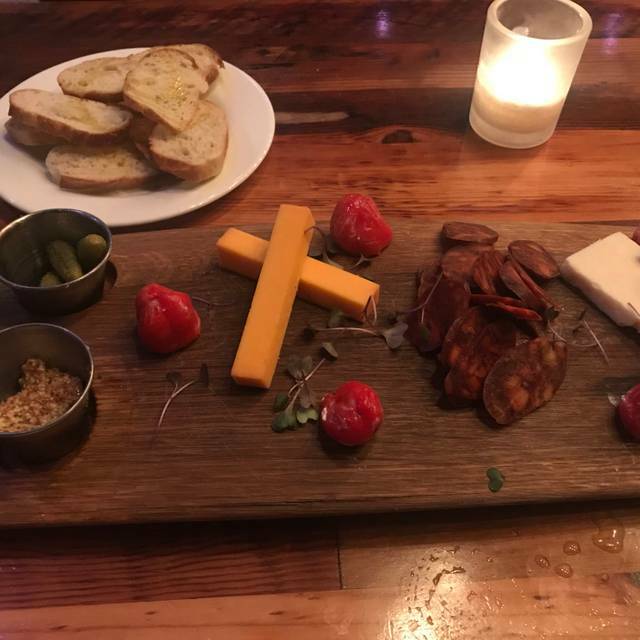 It would be nice to have an option of selecting a smaller charcuterie platter for after dinner. I will definitely visit Union 50 the next time I travel to Indianapolis. What a wonderful find! We were looking for somewhere to celebrate our anniversary while attending a conference in Indy and this ended up being perfect! 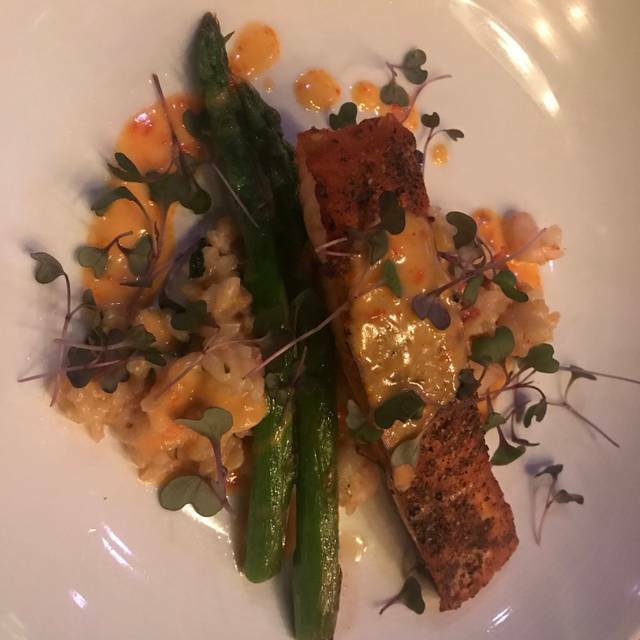 We loved the creative menu and enjoy every bite of all our selections. Toast and Jam was inventive and delicious! Beef tenderloin was spot on and the chocolate layered dessert was a perfect finish. Our waitress was warm and personable and gave wonderful suggestions from the menu based on our preferences. Highly recommend! I have been many times and we always enjoy everything. Our server did an excellent job attending to our party of ten. Overall, great experience! Such an amazing restaurant! Everything from start to finish was wonderful. The most delish fries with a selection of sauces, and the wood fired mushrooms are not to be missed! We made our first reservation at Union 50 for my husband's birthday. 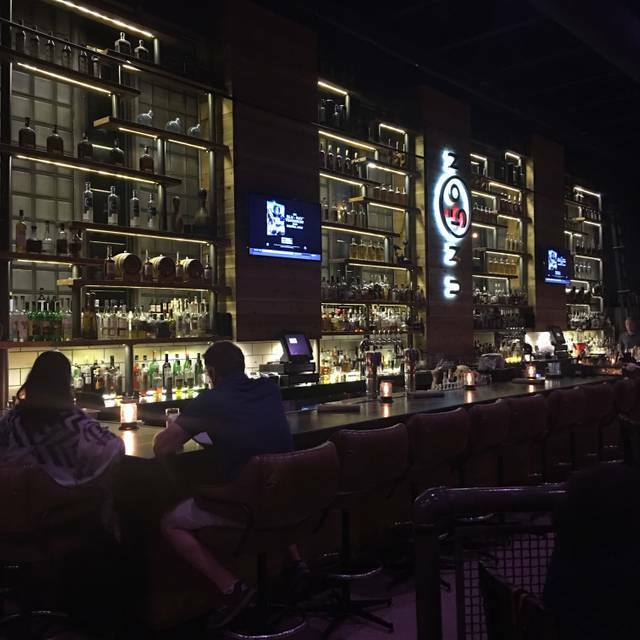 Because we live out of the area, we were pleasantly-surprised by the cool vibe of the upscale, downtown neighborhood with which we were unfamiliar. We received a warm greeting at the reception and were escorted to a table skirting the immense bar. Our waiter, Taylor, provided unparalleled service and was ably assisted by a small team of colleagues throughout our meal. Every selection he suggested was divine: from the charcuterie, salads, and chowder to our salmon and duck entrees. 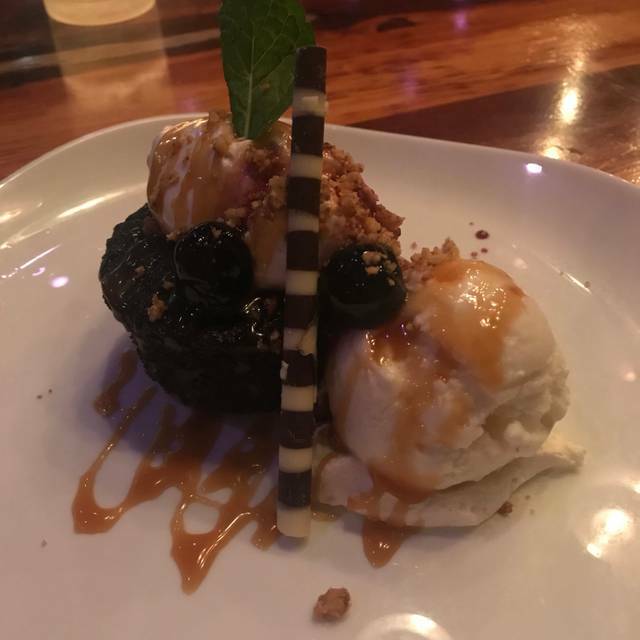 Our desserts--carrot cake, chocolate tartine, and tres leche cake--proved the crowning touch on an amazing meal experience. Be assured we'll be back--and telling our friends! Hido was a fantastic waiter, definitely one of the best, I have had him as a server 3 times and haven’t been disappointed. The food is excellent with great flavor, also they have great beer options. Great food. Great service. Okay drinks. Great ambience. The restaurant is an excellent conversion of an old Fireman’s Union Hall. It’s a great space with sophisticated bar and dining atmosphere. Food is very well done albeit a little pricey and menu has good variety of items. We always love the great service and the wild mushrooms with tofu and amazing salads. We are vegan and don't eat sugar, sweeteners, or flour of any kind, so we make our requests and the chef / staff is always very accommodating, providing wonderful, flavourful fare. Such a joy! We went there for my girlfriends birthday. The food and staff were great. We have been here a few times and they also impress. I would recommend this place to anyone. 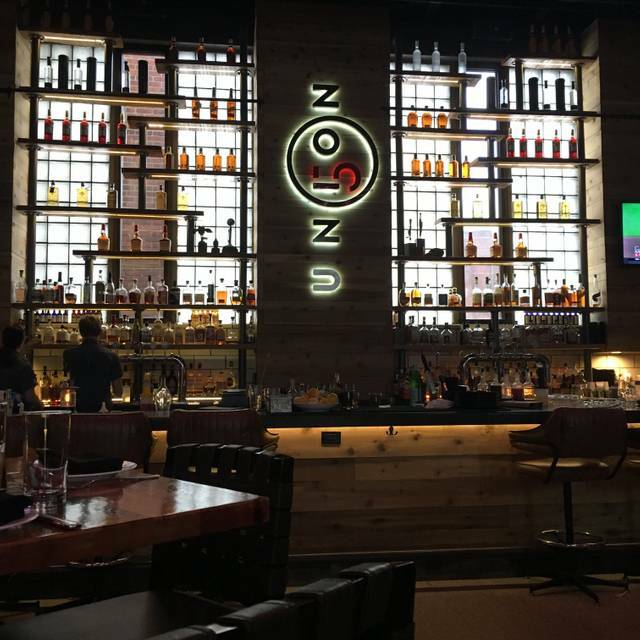 This was our first visit to Union 50 as we were visiting Indy from out of town. I would highly recommend this restaurant! The atmosphere was very hip but yet comfortable. Even though we didn’t have cocktails that evening, the bar looked amazing. There were two of us dining and were unsure of the portion size of the “bistro” menu items. Our server was extremely helpful in guiding us in our ordering. We split the beet and arugula salad which was very tasty. We also ordered the tuna crudo- which was a beautiful exhibit of sushi grade tuna with cucumbers, fennel and aioli. For Entree’s we ordered the scallops from the Bistro menu and the beef tenderloin from the Grand menu. Each were delicious and beautifully presented! Our meal was capped off with a chocolate dessert while we listened to music by the live band. What a fun night - thank you Union 50! We will come back and see you when we’re back in Indy. 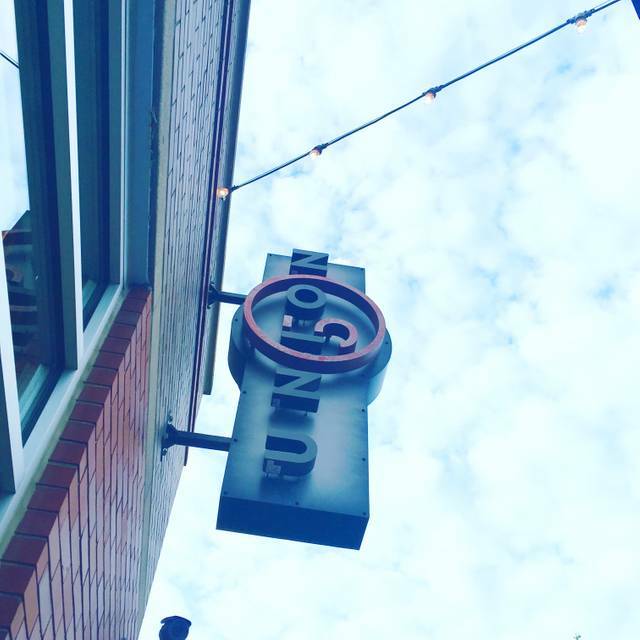 Union 50 is one of my top 5 favorite restaurants in Indianapolis, and it didn't fail to deliver once again! Our group had a very enjoyable meal and a great time together. Love this place. Food, ambiance, drinks. Yum. Sophia was an excellent server. She recommended the meats and cheeses for our charcuterie board and was very pleasant and personable. First time at Union 50 and like all Cunningham Restaurants it did not disappoint!! The server was fantastic, very knowledgeable about the menu and no issues making a couple substitutions due to dietary restrictions. We were celebrating a birthday and received a complimentary dessert, the tres leches was delicious. Can’t wait to come back and listen to the live music. We had a wonderful time with amazing food, excellent service, and unique drinks. We had the cheese board and our sever provided great recommendations to try. We had a mix of small and large plates and everything was amazing. The Oathkeeper and Sangria were both unique and very good drinks. The only thing we did not enjoy was the extremely small table. It was disproportionately small and was the only thing that we did not enjoy in our experience. It’s second time we were at this restaurant. The reason we return with our family because of the delicious food, nice service and latmosphere. Love this place every single time! A favorite anytime we are downtown! 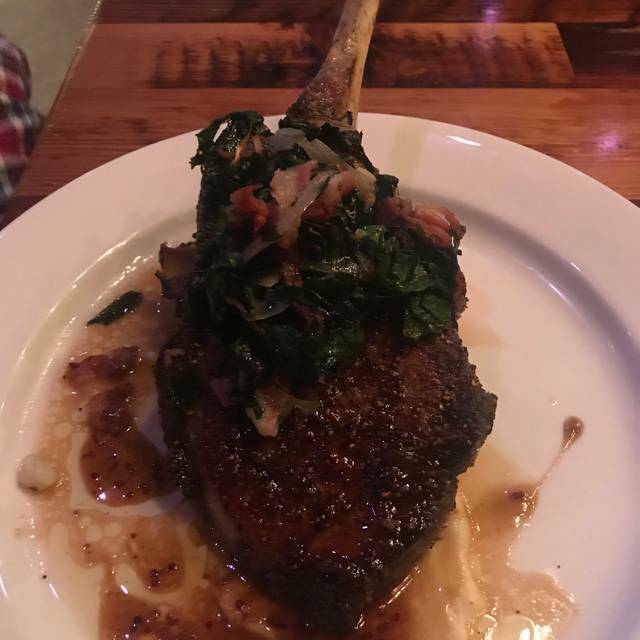 Great neighborhood place in a historic building with a great local restaurateur is a surefire hit every time we dine at Union 50. Service is great, fun cocktails and and engaging menu. Can hardly wait for our next visit! Our service was the best part of the night! He was outstanding. And I’m drawing a blank on his name but he was sooo good. Started with M I think. We sat close to the stage and left shortly after the band started. Suggest to eat early and leave before the music if you want to converse with your group. The food was so so good. We will be back. Restaurant is pretty big and feels comfortable regardless of how busy they are. The menu offers a good variety from small plates to entrees at a decent price point. We went on a Saturday night and ended our meal with live music, the restaurant had a band on their corner stage starting around 10pm. Fun vibe, good drinks, good value.